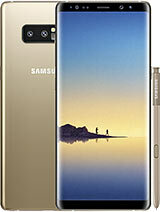 so we will chajged for u new one same model but you should to wait 1 week :(..... then after one week i took my new one but i surprise there is one problem you know what one pexil pern or bad not light it so i'm really angry and return it to the maintenance i2 they said ok we will solve this problem!!!!! rocha, 20 Dec 2008I just bought the Nokia n96 and I previously owned the N95. Can anyone tell me whether I need ... more@rocha . . .I think you need to uninstall the previous N95 8g pc suit and install the N96's , cause the N96 pc suit matches the N96 much better specially the micro usb cable driver supported in N96 pc suit to the N96. PS> updating OTA (over the air) has not improved some of my folks' performance as a complete update has done mine. Why are other N96 made in China? What is the other diff besides that N96 made in China doesnt have gps and wifi? Is is still the same quality? I just bought the Nokia n96 and I previously owned the N95. Can anyone tell me whether I need to overwrite the previous PC Suite that I installed that came with N95. If I install the cd of N96 will I lose the backups I already had? spazbyte n96 user, 20 Dec 2008go to setting/device manager/options/check for updates. ofcourse you need to connect via gprs ... moreThanx yet i knew that alredy and the latest firmware is available 4 my device....all i wanted 2 knw was will i loose my license keys And demo's afta update? And how do i get rid of a dead pixel :'o( coz its geting on my last nurve!!! Kenzo, 19 Dec 2008Yay i finaly got the Device yestaday!!!!! and wow....!!!! the only 2 things i dnt like its th... morego to setting/device manager/options/check for updates. ofcourse you need to connect via gprs or wlan to download the firmware. or you can update your phone using your pc suite. Bernoldus, 20 Dec 2008I'm torn between the N96 and the Samsung i8510 INNOV8. Can get both on a contract for exactly ... moreyah.. better go for n96 too dude. the only differnce of both phones is that samsung has 8mp camera. that's it. and samsung is kinda costly compared with n96..
mo, 20 Dec 20082 all u people who updated to 12.043 firmware is there a major difference 2 your phones that m... morebefore i update my n96 firmware, it was really slow. like when your about to reply to a text messege. it stops for maybe 5 to 7 secs. also when you switch it on it takes 20 to 30 sec max before you can view the menu. but after i updated my firmware, it works fine. also the battery life stays longer now. Bernoldus, 20 Dec 2008I'm torn between the N96 and the Samsung i8510 INNOV8. Can get both on a contract for exactly ... moreI used both and I higly recommend u to go for n96. I'm torn between the N96 and the Samsung i8510 INNOV8. Can get both on a contract for exactly the same amount. Anyone got any experience of both these phones? hey guys i have been using this cell for more than 20days now, i have no problems with it at all, the battery last for 36hrs with moderate to heavy use which is totally fine for me. n the quality of dhtv is also superb. the sound is superb too, amazing vedio quality the only thing dats not working is the nav wheel, any1 can tell me how it works. i have upgraded to the new firware der is not much difference. n the phone doesnt lags i find it decently fast. Yay i finaly got the Device yestaday!!!!! and wow....!!!! the only 2 things i dnt like its the dead pixel in midle of the screen...and the bad bettery life!!!!!!! the rest is awsome the sound quality is out of this world!!!!!! im loving the Transformers movie that came with the N96 coz its my favourate movie of all time!!!!!! As 4 the mobile tV it works all i need is a USIM-card. I just updated my n96 from the last firmware v11.018 to v12.043. what happened?? my n96 works really great. its much faster now than before. but im still trying to test whats the difference from the previous version. i just noticed that there was a big change in the speed when you switched it on and when opening applications, photos, and music. also the battery life stay's longer. i charge my phone almost every night. but now, its been 2days and i havent charge it yet. so for those people using n96, update your phone firmware and see the difference. goodluck guys.. Anonymous, 18 Dec 2008so exactly what language are you talking because i didnt understand a word you said.can you re... more"n96 is nt da bst,i cn make it lag lik u hv neva seen b4"
The N96 is not the best. I can make it lag (go slow) live you have never seen before.